Roll up, Roll up for the Greatest Show on Earth! 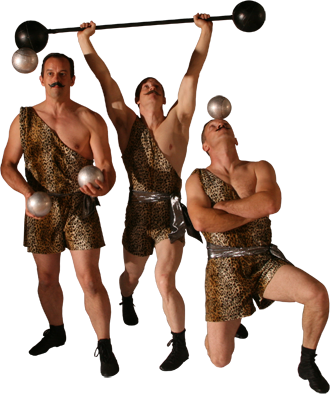 The amazing, fantastic and acrobatic "Strong Brothers" have entertained royalty all around Europe. They have tumbled for William the Conqueror! They performed handstands for King Louis X of France! They balanced on their heads for King Mohammed III of Spain! They really are the most talented acrobats in all of Medieval England!! Available in larger groups of up to six acrobats!